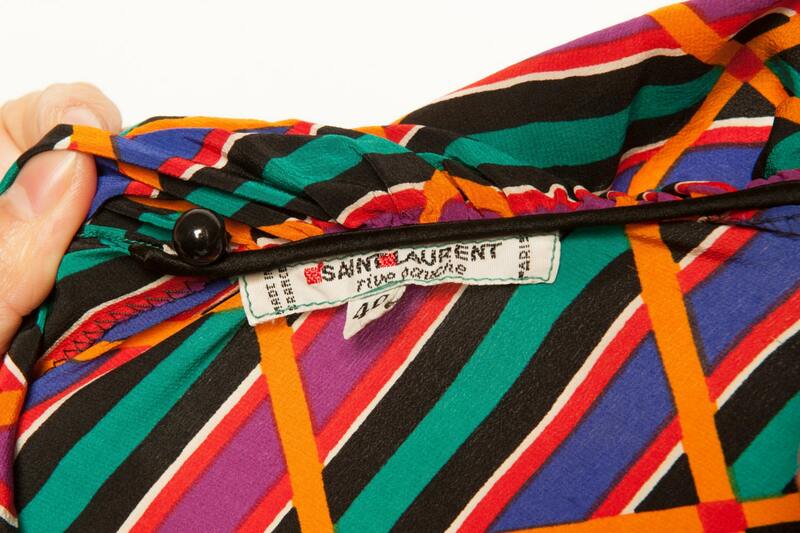 Flared dress made of silk crepe by YSL from early 1980's. Collerette collar, the pleated skirt and the multi color geometric motif. Closure with a zip on the left side and a button on the back.